ASA Emulsifiers | EGM, LLC. EGM is the North American expert with regards to the design and construction of ASA Emulsification equipment used in the paper manufacturing industry. 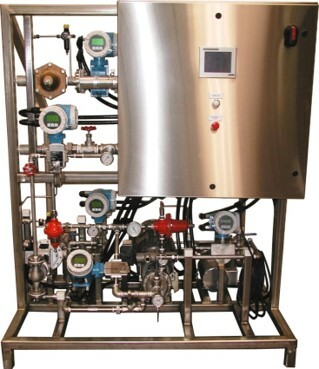 Seven different levels of control sophistication are offered in the ASA Emulsifier product line – allowing customers to procure the best fit system that matches the ASA use rate, emulsification strategy (polymer, pre-packaged liquid starch, or on-site cooked starch), and operational requirements for each individual application. All EGM designs are based on proven, reliable, turbine-pump based systems that have been deployed in hundreds of emulsification systems that have been shipped across the globe. 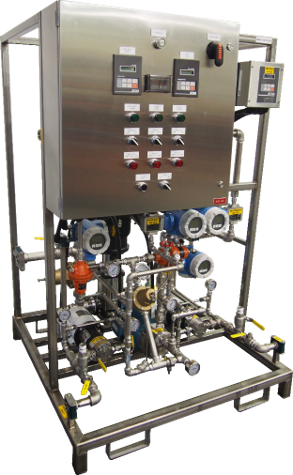 Systems can be constructed for use with batch-feed and direct-feed strategies, and units can be built to control a direct-feed dose to multiple application points from one single emulsifier. Pending the level of control sophistication, hard-wire, or PLC versions of the equipment are offered. 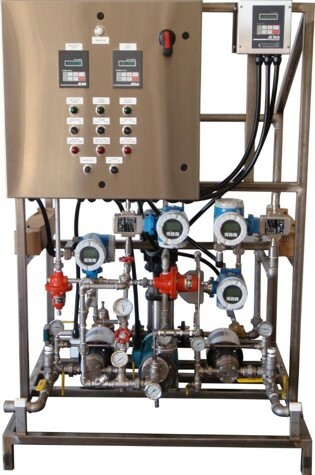 Systems can also be tailored to use end-user preferred brands of instrumentation components to allow for easiest integration into maintenance and service schedules.